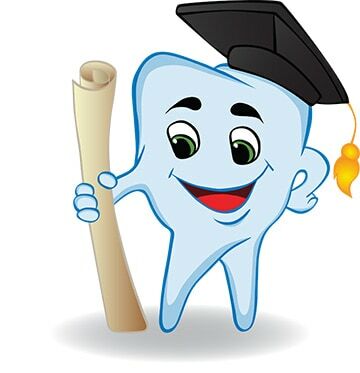 Wise Up About Wisdom Teeth, Douglasville! Wisdom teeth come in during our late teens or early 20s. They can cause problems, such as coming in unevenly,partially, or not at all. When this happens, they’re called partial or fully impacted wisdom teeth. Most of the time, the solution is to extract them, and at Jim Williams, DMD in Douglasville, we are here to make the experience as comfortable and relaxing as possible. There are some interesting facts about wisdom teeth that you might not know. In some regions in the world, the population never develops wisdom teeth, and in others nearly 100% of people do develop their wisdom teeth! Scientists don’t know why although the phenomenon is being studied. Wisdom teeth can grow in at almost any angle, towards the next tooth, towards the back of the mouth, even at a right angle to other teeth! The most important fact about wisdom teeth is that if you experience any pain or soreness, call our dental office in Douglasville at 855-410-2757 as soon as possible. Additionally, keeping up with regular dental visits can help us determine if there are any potential problems with your wisdom teeth and if extractions are necessary. If you’re due for a dental checkup, give us a call today! …biting and chewing food, talking, giving your face its structure. Period! Tooth enamel seems like a hard surface, but it’s not made to withstand excess pressure or habits that erode it. At Dr. Jim Williams’ dental office in Douglasville, we hear a lot of bad habits! Do any of these actions sound familiar? Now that may sound like what teeth are made for, but we’re talking about crunching things like ice cubes, or even popcorn kernels. Bite down on them the wrong way, and you could end up with a cracked tooth. Sipping? Yes! Soda (even diet), tea, and other acidic beverages can eventually erode your teeth, especially if you habitually consume them. Teeth aren’t nutcrackers or bottle openers! Or any other tool! If you grind your teeth, even in your sleep, you can wear them down without even noticing! You may need a night guard or other appliance to help stop grinding, and if your teeth are worn down, you may need further dental treatment. A toothbrush with hard bristles might seem like a good idea, but it’s better to use a soft- or medium-bristled brush, and brush regularly and longer! Set the timer for two minutes to make sure you are brushing long enough to get your teeth clean. Brush and floss your teeth at least twice a day, in the morning after breakfast and before bedtime. If you can’t brush during the day, try to drink plain water so you can at least “rinse” out any food particles or acidic drinks. If you have any of these habits, it’s never too late to change! If you have any tooth or gum pain for any reason, please call our dental office in Douglasville as soon as possible!